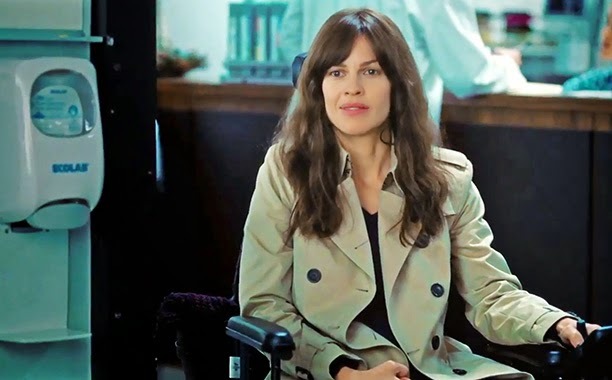 I have an impression that this is the American version of the French film Intouchables, almost same plot but this time they have a Women’s in the story. After watching it last Nov 18, 2014 during the VIP Advance Screening at the Cinema 6 in SM Megamall, my impression change to a larger view and of course got a perspective of how ALS can change lives, yes the famous for a cause ALS Ice Bucket challenge that celebrities does this year. 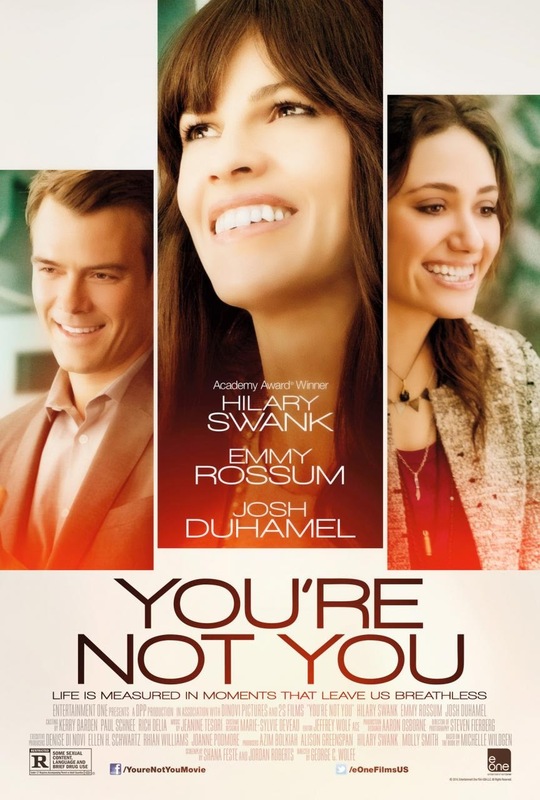 You’re Not You stars academy award winner Hillary Swank as Kate, a beautiful wife, a pianist slowly dying because of ALS disease, her husband is played by forever charming Josh Duhamel as Evan, and Emmy Rossum as Bec, the struggling singer and caregiver who take care of Kate. When Kate was slowly consume by ALS she a need help in daily activities, in doing that they hire Bec, a student and party-goer person whom Kate like it much since she was not treated as a patient. 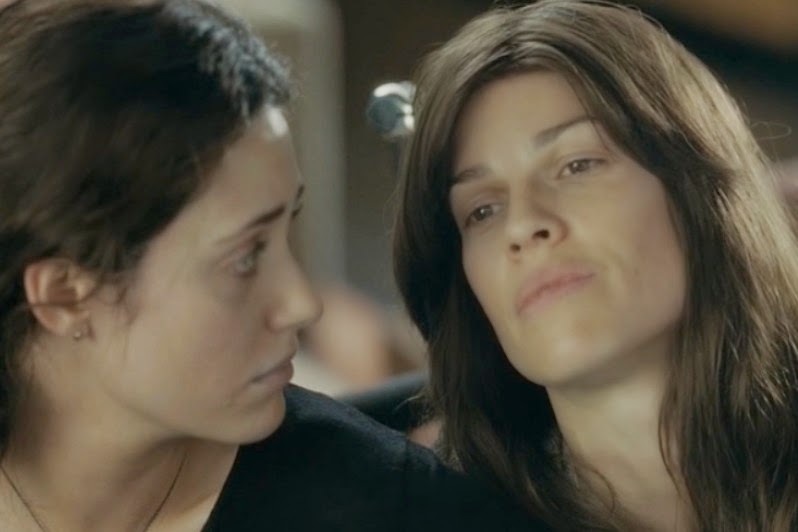 Kate found out her husband being unfaithful and ask Bec help to move out and explore what life can offer, the two girl jointly fight ALS and show there is still life after all what happen. What’s good thing about this film is that you will not feel pity for those who have disease like ALS or other, yes you will feel blessed somehow but the execution of the story will make you realize that whatever you have in life, there are more things to come in order to survive even if it is a little chance of survival. You’re not You teach us to fight even more to a hopeless situation, it create awareness and make us ready for what this life may bring. This not a tough drama to deal with at first but rather develop us to understand the most difficult situation we can face in life. Swank as Kate in You're Not You. Hillary gives a monumental performance in this film, from being glamorous to being sickly yet beautiful even to the part you can hardly understand what she is saying due to her condition. Of course Josh will always be a camera friendly face but his matured character will make you love him most to think he don’t have a so much exposure in this movie. Emmy young and restless yet artistic performance is good one to note as well. I recommend it for a rating of B, (A being the highest) since it’s a feel good movie after watching, yes it can make you cry in some scenes but what matter most is the realization after. Technically it is clean and you will love the scoring and the soundtrack. You’re Not You opens in theater on Nov 26 nationwide (Philippines) release by Octoarts Films. Bec and Kate (Rossum & Swank) in a scene from You're Not You. Descriptions of the disease date back to at least 1824 by Charles Bell. In 1869 the connection between the symptoms and the underlying neurological problems were first described by Jean-Martin Charcot who in 1874 began using the term amyotrophic lateral sclerosis. It became well known in the United States when it affected a famous baseball player by the name of Lou Gehrig, and later when the ice bucket challenge became popular in 2014. 3. Died: June 2, 1941, Riverdale, New York City, New York, United States and buried in Kensico Cemetery, New York.